The instructions throughout the book are clear and easy to follow. There are many photographs to help with the instructions as well. In the back are templates for some of the projects. 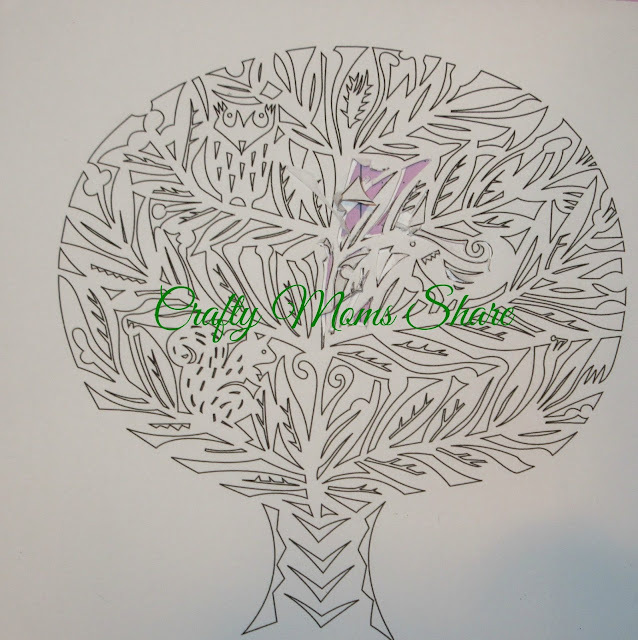 A few of the templates need to be enlarged which is my only complaint. Since the book is hardcover enlarging them is not always easy. 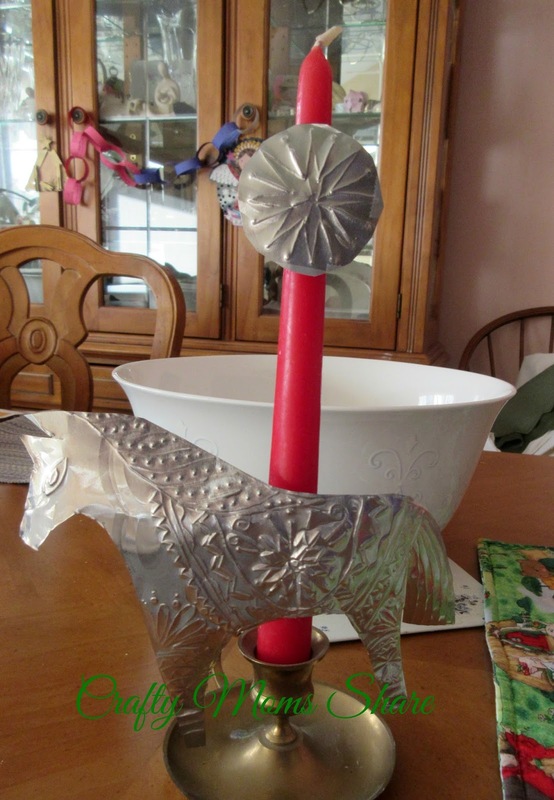 I made the tin candle holder which was suppose to be enlarged, but I found the enlarged horse was too big for my tin. 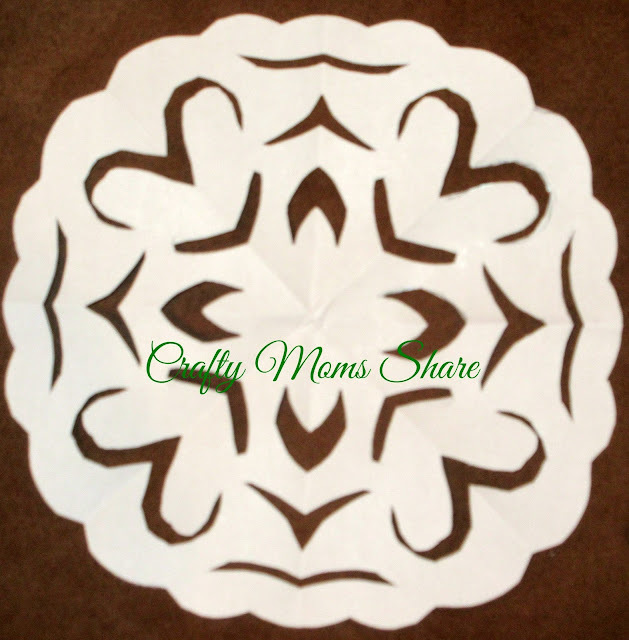 I was amazed as how easy this craft ended up being and am happy with the results. I considered using some Sharpie markers and coloring the design and may do that if I make another one. I attempted the Paper-cut woodland scene, but discovered that even with a new Exacto knife I am really just bad at paper cutting. I can't blame it on the blade anymore. I stopped and will finish it when I get a chance but am not sure I will like it when I'm done. I didn't even attempt the piece that goes in front of this one. I took the pattern for the Robin's nest card and made it on a colored canvas. 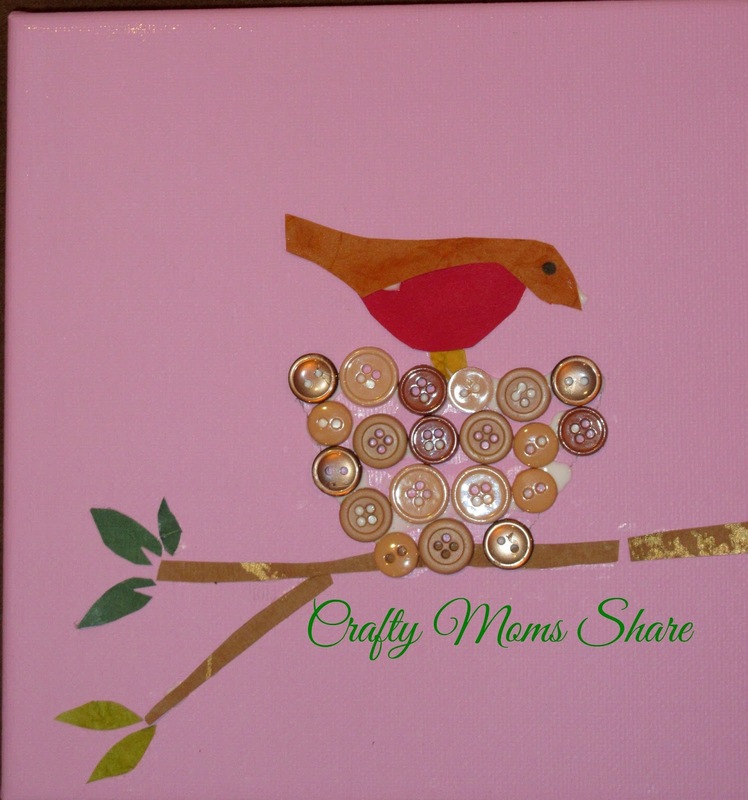 I pulled out my handmade papers for most of the pieces in this one and Hazel helped me glue the buttons on for the nest. She wants the canvas to hang in her bedroom once it is dry. She took the idea of the buttons one step more and made a gingerbread house (we had the mini candy canes in her button supply). I love when a craft with me inspires her to do something on her own!! I also love how it came out! I can highly recommend this book. 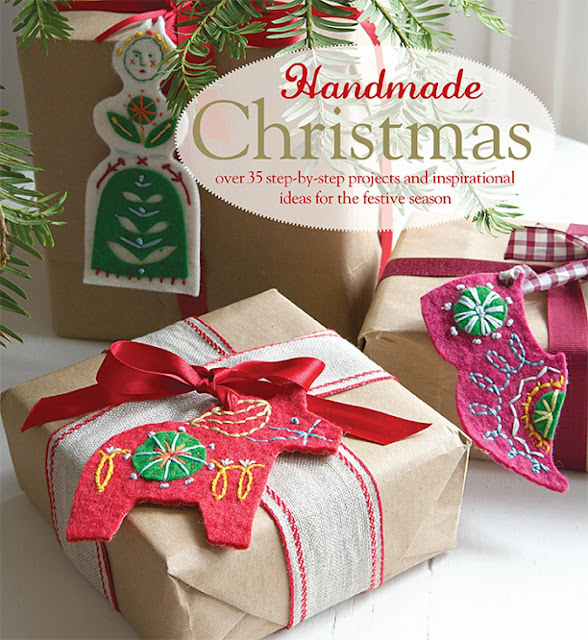 It is full of great crafts and many ideas that can be expanded on as well as just enjoyed. 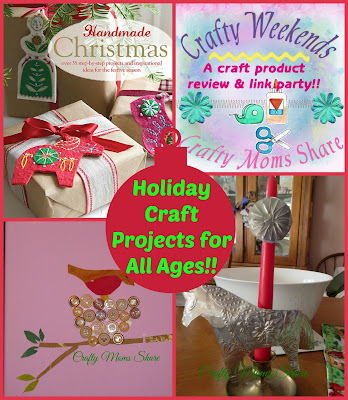 I also love that it has various crafts for kids as well as recipes mixed in. There are so many great ideas. I hope you will check it out! It was another fun party last week!! Sharing Saturday (anything kid oriented) is also going on. Thank you to everyone who shared with us at last week's party!! It was the largest thus far!! There were some amazing crafts shared and this is just a sampling. Be sure to check them all out!! Thanks for the party. 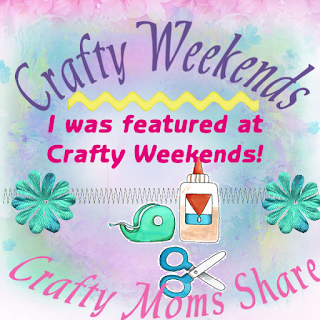 I'm so exited to have my Stampy hat featured this week! Thanks! Thank you for sharing with us!! I love seeing all the different crafts people are making! Thank you so much for including my ribbon flower decoration among your features! 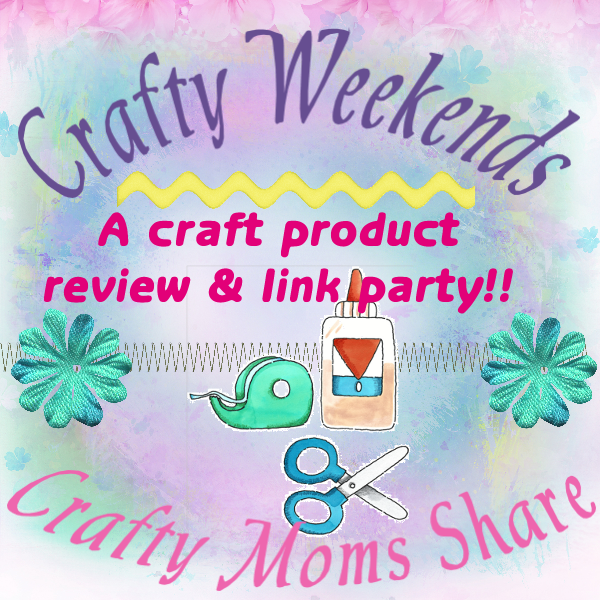 And thanks for hosting this creative linky party! Have a Merry Christmas! Thank you for sharing your beautiful crafts!! I love seeing them!! Merry Christmas to you as well!! 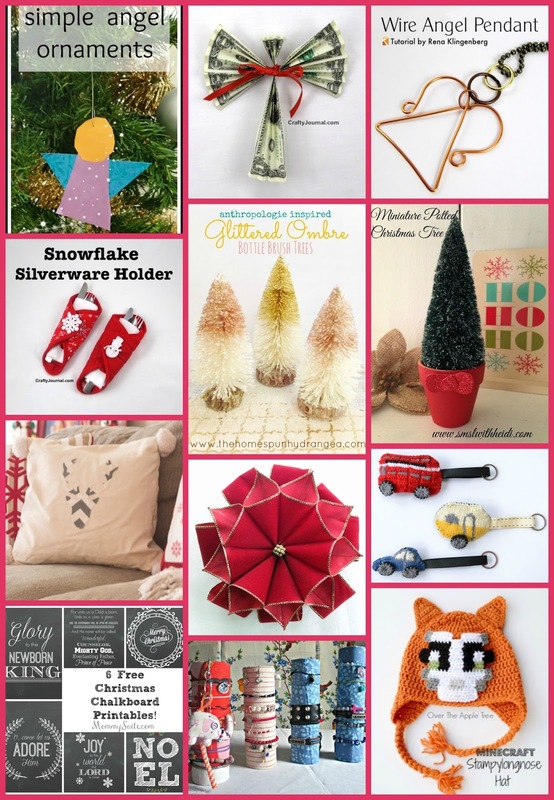 Thank you for including my No Sew Deer Pillow along with these other great creations! Have a Merry Christmas!